NEW YORK--(BUSINESS WIRE)--Middle market healthcare executives are focused on growing their businesses through acquisitions and investment, despite views of overregulation, a tepid economy and a major decline in approval of the Affordable Care Act, according to an exclusive study released today by CIT Group Inc. (NYSE: CIT) cit.com, a leading provider of financing and advisory services to small businesses and middle market companies. The report, “U.S. 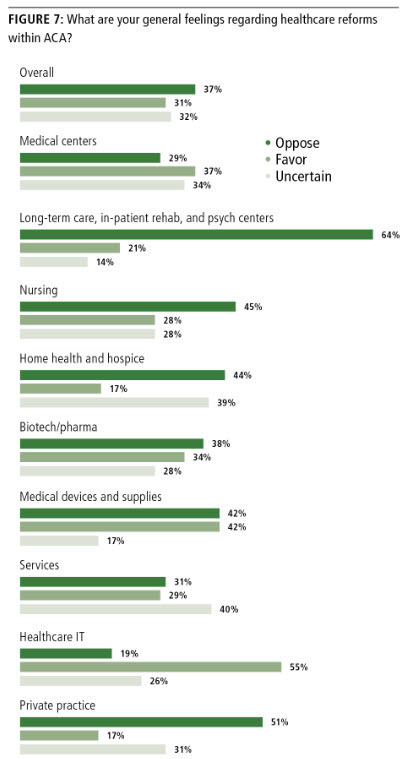 Healthcare Outlook: Strong Performance Amid Healthy Capital Investment” (cit.com/healthcareoutlook), includes responses from more than 300 senior middle market executives in the healthcare industry. The study was conducted by Forbes Insights on behalf of CIT. Industry Focused on M&A and Financing: Roughly a third of healthcare executives say acquisitions will be an important (24%) or very important (8%) component of their strategy over the next year. Interest in M&A increases dramatically (59%) among medical device-related executives: 46% describe the strategy as important and 13% as very important. Committed to Growth Through Investment: Nearly a third of respondents anticipate seeking financing of a significant nature in the next year. Here, the most frequently cited purposes include acquiring or implementing new technologies/patents/licenses (39%), increasing working capital (31%) and investing in a new plant and equipment (28%). Support for the Affordable Care Act (ACA) Declines: In a sound reversal, the industry – on net – no longer favors the Affordable Care Act. In the spring 2009 iteration of this study, those in favor of healthcare reform outnumbered those opposed by a nearly 2-to-1 margin. In the 2013 study, support has dissipated, with 37% now opposing ACA, whereas 31% favor it and 32% are uncertain. Some Positive Components of ACA. However, certain segments of the industry, such as healthcare IT providers and hospital medical centers, favor ACA. Pluralities also see benefit in ACA-induced Medicaid expansion, health insurance exchanges and reductions in the number of uninsured. Overregulation Is a Significant Concern: Three out of five executives believe that their segment of the healthcare industry is overregulated. 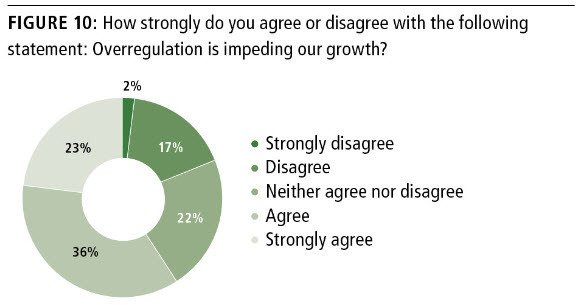 A nearly identical number (59%) say that overregulation exacts downward pressure on their performance. Despite Overregulation, Executives Foresee Growth: More than half (54%) of healthcare executives have seen revenues increase in the past 18 months. 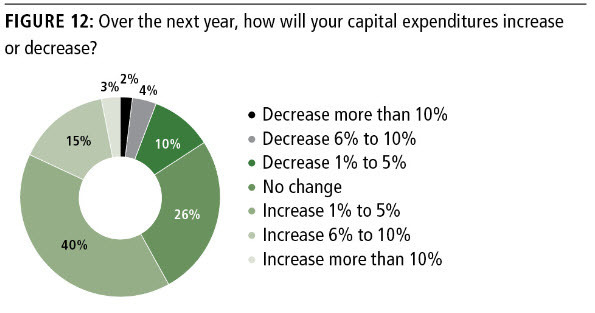 More than half (52%) expect their revenues to grow in the coming year. Meanwhile, 28% expect “no change,” while just one in five (20%) anticipate revenue declines. Prominent Healthcare Megatrends Are Fueling Strong Performance: The most frequently cited factors that are having the greatest impact on revenue are advances in technology (65%), which have led to expanded treatment options and improved efficiencies, and the aging population (65%), which has led to an increased demand for services. Complimentary copies of the report can be downloaded at cit.com/healthcareoutlook. The study, which was conducted in March 2013, included insight from more than 340 middle market healthcare industry executives from companies with annual revenue between $25 million and $1 billion. Industries within the healthcare sector include skilled nursing, biotech/pharmaceutical, hospitals/medical centers, physician services, private practice, healthcare technology and medical devices.